February was bad. Unfortunately, March on Wall Street wasn’t any better. The slump in stocks continued and S&P 500 continue sliding down. The first week of March looked promising. The markets went up and it all looked that we are finally on the path of recovery. Then Trump announced his tariffs shame aimed against China and excluding all others. Those who hoped in growth of the US steel got slammed as major steel exporters got exception and China threaten Trump with large retaliation. But, I do not feel bad about it. As a dividend investor I welcome this drop and all great dividend stocks being on sale. and I wish this would last for some time! I wish the stocks would go lower even more! As an options trader I pretty much do not care where the market goes. That’s the beauty of trading the options. Options will allow you to make money in any situation – if done right. My only concern, in this market slump, is to be on the right side of the trend. Many of my trades were bullish. If this market is truly changing into a bear market (which I do not believe we are there) these bullish trades would hurt. There is a way to revert them into bearish trades but it will require capital reserves. And my concern is, will my accounts have enough money in reserves to trade through the reversal? 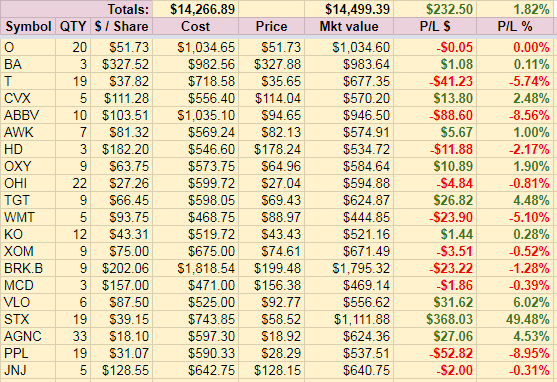 In march we made the most money I have ever made trading options in a month. 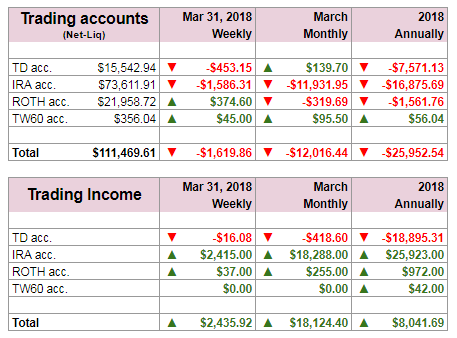 The final revenue for March 2018 was $18,124.40 dollars! Now, the biggest task in the coming months will be to retain the revenue (and a few more bucks along with it). 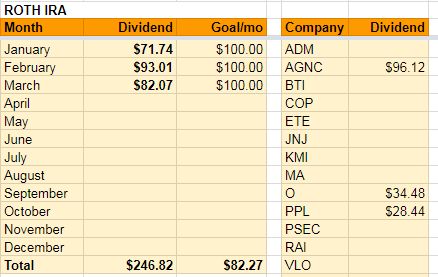 When I started trading in 2006 my goal always was to make enough money trading which can be invested into dividend stocks. Later on, I got into options and realized that options can provide the dreamed income which can be invested. 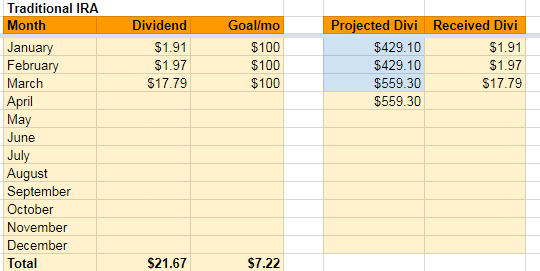 My next goal then is to make enough money to be invested into dividend growth stocks but also provide living. I am not there yet. But I study hard and learn to get there.